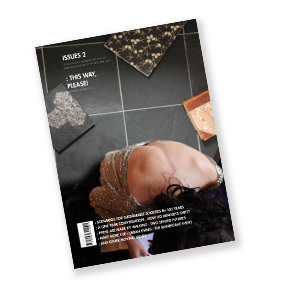 The magazine is available as pdf and you can order a free copy by sending an e-mail to hof@houseoffutures.dk with your name, organisation and postal address. Printed editions will be limited. BACKGROUND AND CONTENT. The project ”in 100 years – starting now” is focusing on big picture thinking about preferred futures for sustainable societies in the long run. On seminar 4 “It’s our future, love!”, held 18-19 January at Carlsberg Academy, 80 scholars, desicion makers, practitioners and other visionaries participated in the one-year conversation about preferred futures 2112. Get a sneak peak into the process and results of this seminar. SCENARIOS TOWARDS 2112. PREFERRED FUTURES FOR SUSTAINABLE SOCIETIES IN 100 YEARS. Baseline scenario. Building blocks for long-term preferred futures. Introduction to the two scenarios. Man-made world. The light-toch society. Power of nature. Living in oneness. This way, please! How to use the scenarios.